University Archives collects items that document the history, cultural life, and shared memory of UNCG, from its establishment in 1891 until today. The collection includes the records of administrators, academic departments, student organizations, and other campus units and organizations. The Manuscripts section of Archives concentrates on acquiring, preserving, and providing access to collections that document the history, cultural life, economics, and politics of the North Carolina Piedmont. Among the major book collections in Special Collections are the large and significant Woman's Collection, with titles from the fifteenth through the twentieth centuries; the American Women's Detective Fiction Collection; the Girls' Books in Series Collection; the American Trade Binding Collection; the Juvenile Collection; and the Book Arts Collection. The Martha Blakeney Hodges Special Collections and University Archives has internationally known collection of cello music books, manuscripts, records, and sheet music. 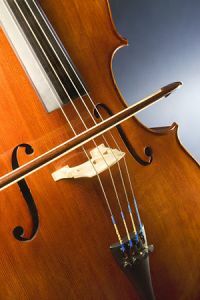 The collection includes such influential cellists as: Elizabeth Cowling, Maurice Eisenberg, Bernard Greenhouse, Fritz Magg, Rudolf Matz, Janos Scholz, Luigi Silva, and Laszlo Varga. The Women Veterans Historical Collection documents the female experience in the Armed Forces through letters, papers, photographs, published materials, uniforms, artifacts, and oral histories.